Happy 4th everyone!!! I hope you are all getting to enjoy today with family and friends!!! I am getting a few things done around the house and then I am headed out to hang with friends and watch some fireworks. Keeping things light and low key this year, this house buying process is stressing me to no end! Before heading out for the day though I wanted to share my 4th mani for the #52weeknailchallenge2018. For my patriotic mani I went with your standard red, white and blue look. For the red nails I used Hannah by Zoya and SB32 September 2016 by Model City Polish. 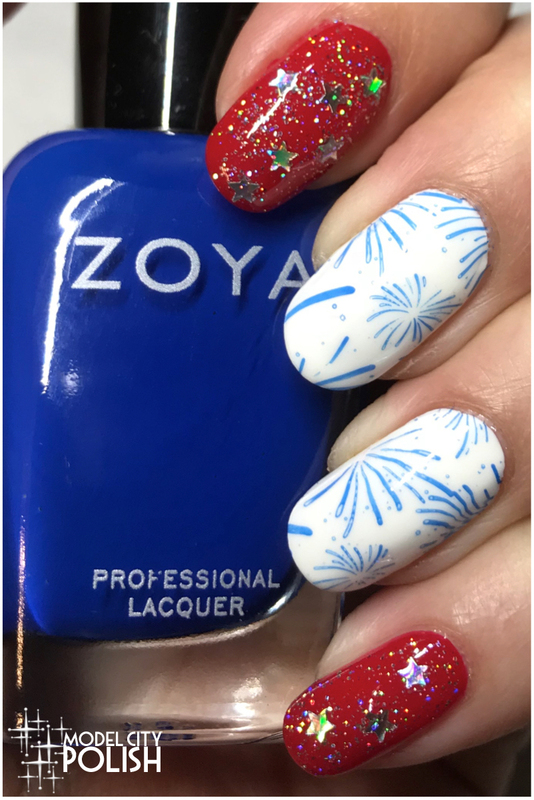 For the white nails I used Alpine Snow by OPI with Sia by Zoya and fireworks stamping plate from Pet’la Plates. Everything is sealed with two coats of Marvel Liquid Macro Top Coat by SuperChic Lacquer. So what do you guys think of my patriotic combo for the 4th? I am so in love with the fireworks pattern!!! Thank you so much for stopping by today and please be safe today! I just love your nails! How festive. I hope you have a great 4th of July! Happy 4th of July. Your nail arts are so pretty. I wish I could have them. Unfortunately I have short nails. Totally love the fireworks. I just got home from seeing some in person and this relives the fun. What a perfect set of nails to celebrate. Love the white nails. I really need to get better at painting my own nails! Happy 4th to you too! What a lovely way to celebrate the occasion! My nails are just plain red right now, and I wore a red+white tshirt with blue culottes. Happy Independence Day! Your mani is cute. 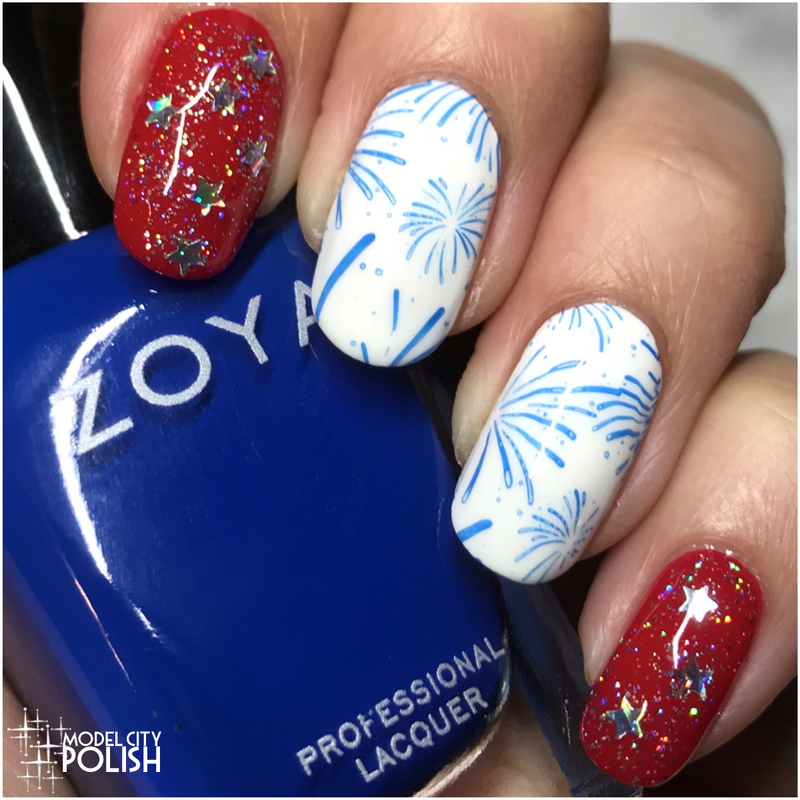 You really nailed the 4th of July vibes! Great manicure! That’s a great mani for the holiday. I’ve been itching to get my nails done. Happy 4th of July! You can’t go wrong with red, white, and blue! I am pretty boring when it comes to nail colours, your post made me want to experiment and get more creative. I love your mani! It shouts festive and fireworks! Happy belated 4th of July! I love this very festive nail look. You did an awesome job! I cannot wait to do fun designs with my nails. Right now they are as plain as plain can be. I’m waiting until my kids are older and I have more time to spend on my nails. Loved your nails, I wih I could di these designs on my nails too. These are super fun and festive! 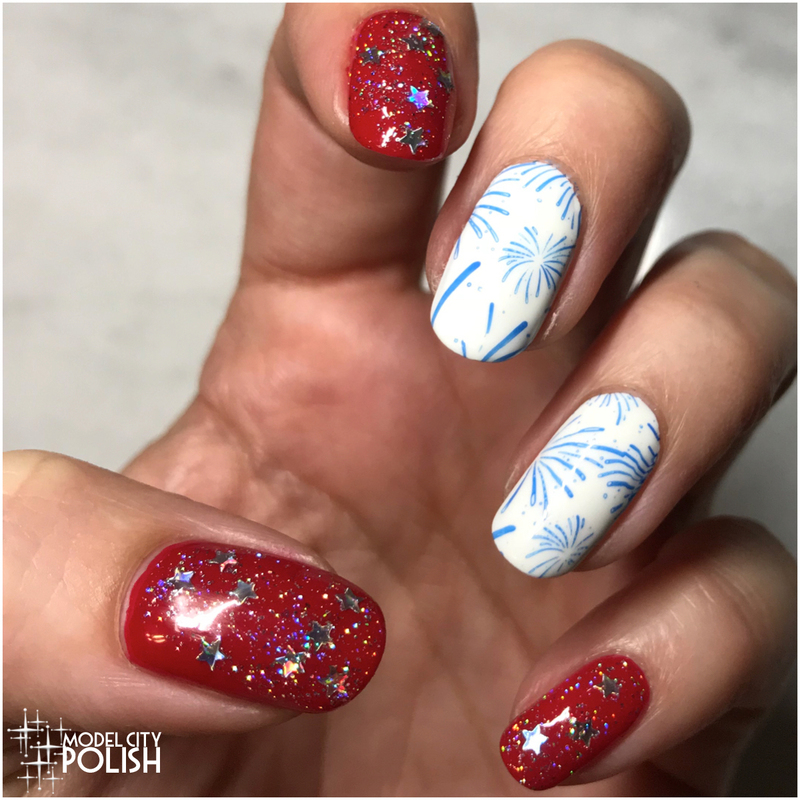 Wow, this is anamazing set of nails to celebrate 4th July. Wish I knew this before the day. Will def. check this out. Thx! i so love the glitters. so timely and appropriate for the celebration! You are indeed very patriotic and your nails look amazing. I really wish I could pull this off sometime.